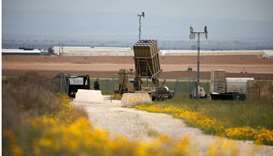 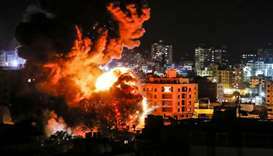 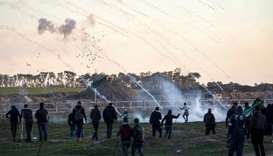 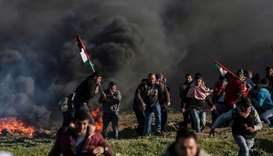 Israeli forces killed two Palestinian men on Friday and wounded 55 others taking part in weekly protests along the fortified Israel-Gaza border, the Palestinian health ministry said. 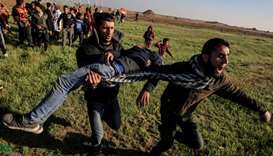 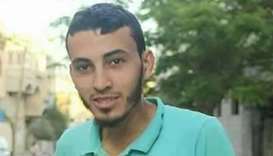 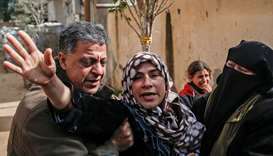 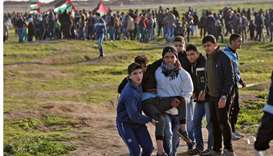 A Palestinian shot by Israeli forces in clashes on the Gaza border nearly two weeks ago has succumbed to his wounds, the enclave's health ministry said Tuesday. 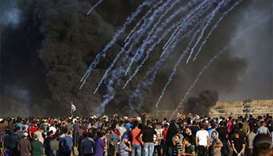 A Palestinian wounded last month during clashes on the Israel-Gaza border succumbed to his wounds on Monday, the health ministry in the Palestinian enclave said.